I have a white starfire from 67. I wondered if it was a custom order as it it has quite a chunky neck on it. Trimbo my memory's not what it used to be, but I recall a thread about a white Starfire from many years ago, and I seem to recall it was ID'd as a factory re-paint for color, but I could be all wrong. Don't ever recall hearing about being able to special order a neck profile (as opposed to nut width) though. 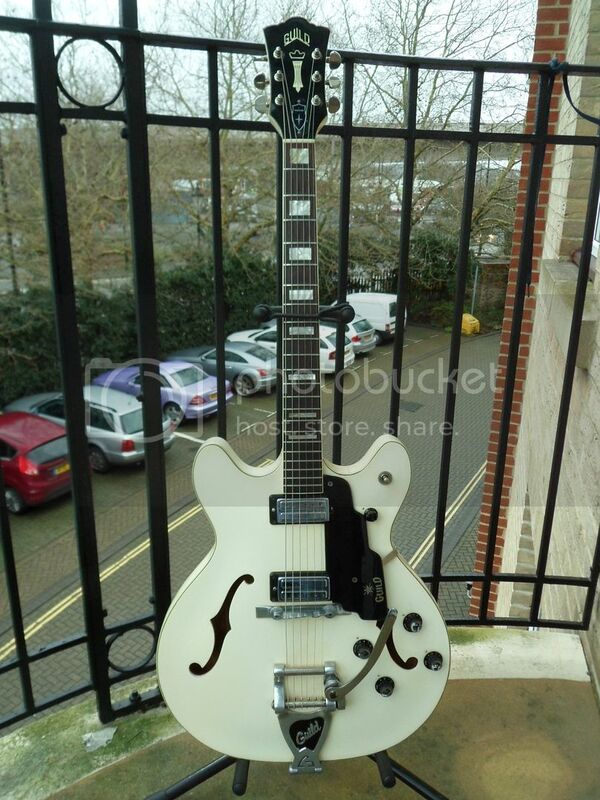 That's a beautiful white '67 Starfire V that you have there, trimbo. And it looks to be in very good condition! Instruments from that time period that have custom ordered features usually have "Special", "Spec." or "SPE" written on the label after the model number. Here's a thread about white Starfires from a couple of years ago. It discusses both the new Newark Street line of guitars and some historic guitars as well. Hans Moust weighs in @ post #5. That's trimbo's guitar that I posted a photo of. 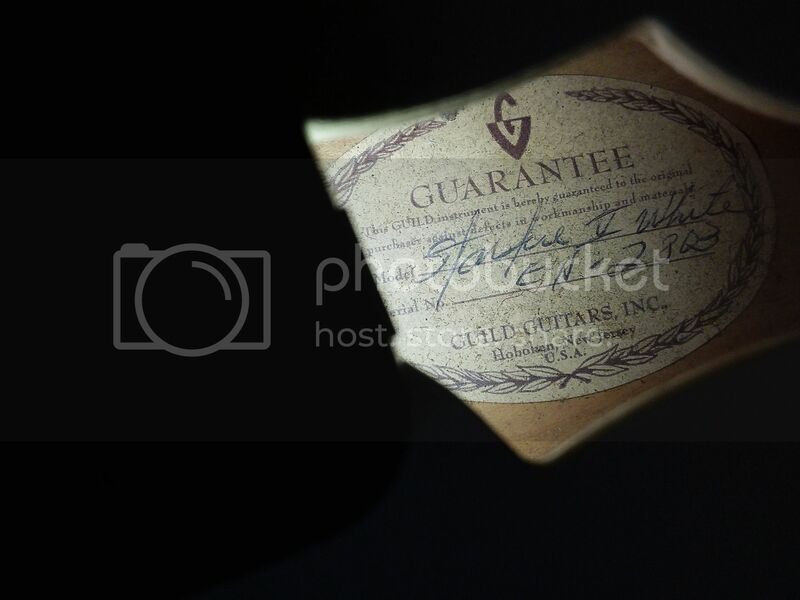 The guitar has two serial numbers on the headstock. If i remember correctly Hans thought it was made in 67 unsold and resprayed for a custom order in 70. I guess the neck was luck of the draw- the nuts 1 11/16 with a chunky C neck. My other 67 starfire has a more typical medium neck. I really like them both.